Spirituality often plays a critical role in health and wellness, yet few have explored in detail the process through which practitioners can identify and use clients' spiritual strengths to their mutual advantage. 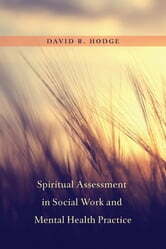 To address this gap, this practice-oriented text equips helping professionals with the tools they need to administer spiritual assessments ethically and professionally. David R. Hodge outlines a number of assessment approaches, including an implicit method for evaluating "secular" forms of spirituality. Case examples illustrate the implementation of these strategies in different clinical settings and with groups from diverse racial, geographic, and socioeconomic backgrounds.